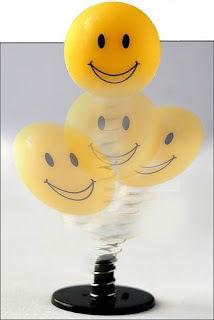 The words happiness and joy are used interchangeably, and we often view them as having the same meanings. 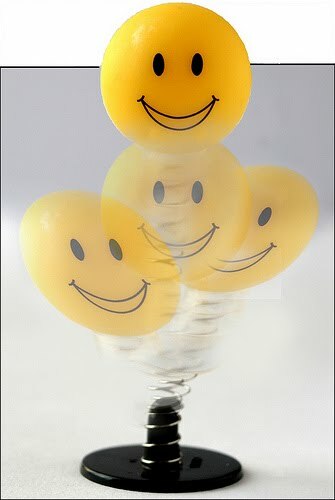 Happiness is defined as a state of well-being and contentment based on good fortune. Joy is defined as a vivid emotion of pleasure. I recently heard a great explanation of the difference between happiness and joy. Happiness is dependent on outward circumstances. Joy, on the other hand, is internal and constant. As believers, we have an unlimited source of joy through Jesus Christ. We shouldn't be as concerned about happiness which is dependent on outward circumstances. We should have joy in the Lord based on an internal constant - our relationship with Him. What does the Bible say regarding joy? Psalm 4:7 - You have filled my heart with greater joy... God is the source and provider of joy in our lives. Psalm 19:8 - The precepts of the Lord are right, giving joy to the heart... God's Word brings joy to the life of the believer. Psalm 92:4 - For you make me glad by your deeds, O Lord; I sing for joy at the work of your hands... God's mighty works can bring us joy. Acts 16:34 - The jailer brought them into his house and set a meal before them; he was filled with joy because he had come to believe in God - he and his whole family... Salvation brought joy to the Philippian jailer. 2 Corinthians 7:4b - ...in all our troubles my joy knows no bounds... Even in the midst of problems, we can have endless joy. Galatians 5:22 - But the fruit of the Spirit is love, joy, peace, patience, kindness, goodness, faithfulness... Joy is one of the evidences of our spiritual conversion in Christ. 1 Thessalonians 1:6b - ...in spite of severe suffering, you welcomed the message with the joy of the Holy Spirit... The Holy Spirit gives us joy. 1 Thessalonians 5:16 - Be joyful always... We are commanded to always be joyful. James 1:2 - Consider it pure joy, my brothers, whenever you face trials of many kinds... We should be joyful even when we face trials in life. Are you filled with joy, today? It's true, We shouldn't be as concerned about happiness. Mark 13:13 And ye shall be hated of all [men] for my name's sake: but he that shall endure unto the end, the same shall be saved. It is really great article. I like your points of view. Thanks for sharing.